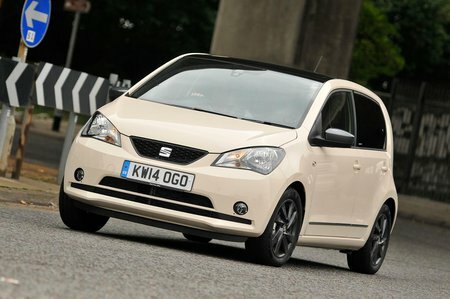 Used Seat Mii Review - 2012-present | What Car? What's the used Seat Mii hatchback like? You can’t blame the Seat Mii for suffering with middle child syndrome. Sandwiched as it is between the high-achieving Volkswagen Up and the hard-working Skoda Citigo on a shared family platform, the Mii was always going to feel a little left out. 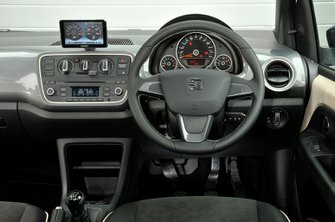 Fortunately, Seat has given the Mii an identity all its own by offering the car in a number of trim levels and special additions, some of which have been created as part of collaborations with major fashion brands such a Cosmopolitan and Mango. The Mii, therefore, is the stylish one of the trio. But style is just the window-dressing; you need substance and practicality behind it to make a good car. On this front, it’s good news, as you can fit four adults into one Mii quite comfortably. It won’t do for road trips across the continent, but then this isn’t the car for that. For short journeys this car is most likely to be tasked with, it’s great. The only problem is that in order to make people feel less squished, Seat had to limit the car to carry only two people across the rear bench, whereas rivals such as the Hyundai I10 and Suzuki Celerio can take three. However, like the Volkswagen Up and Skoda Citigo, the Mii manages to be really good fun to drive, if a bit slow. That’s because the Mii is only available with either the 59bhp or 74bhp 1.0-litre three-cylinder petrol engines and isn’t available with the Up’s more powerful 89bhp turbocharged engine, which is a shame. However, at least this means that the Mii is cheaper to buy and, in Ecomotive form, more economical than an Up. While you’re waiting for the Mii to get up to cruising speed, you’ll notice that the ride is remarkably smooth. This is helped by the smaller wheels fitted to the majority of the range; as long as you stick to 15in or 16in wheels, ride quality shouldn’t be an issue. What’s more, all the controls are a pleasure to use. The gearlever and clutch action is smooth, which is perfect for low-speed manoeuvres. The steering manages to be precise and weighs up nicely in corners when you get out of town onto faster roads, but is still light for parking in tight spaces. In other words, the Mii always feels safe and sure-footed, so you feel like it’s on your side at all times.